Although a small park, Nelson-Kennedy Ledges provides a thrilling experience to visitors with its rugged cliffs and diverse plant life typical of a more northern climate. A day-use park, Nelson-Kennedy Ledges is popular for picnicking and hiking. Hikers will enjoy the several trails that wander through the Nelson Ledges to formations like Devil’s Icebox, Indian Pass and Old Maid’s Kitchen. Located in Portage County, West Branch State Park’s large 2,650-acre lake with its many forks and coves is extremely popular with fishermen, boaters and swimmers. Located just minutes from Akron, Wingfoot Lake offers a delightful escape from the city. Groves of tall trees, expanses of grass, and the picturesque lake provide a calming backdrop for a relaxing outing. Reservable shelters are ideal for all types and sizes of picnics, reunions and social gatherings in a scenic outdoor setting. 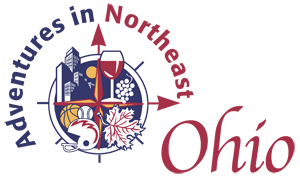 The PORTAGE Hike and Bike Trail serves as a key east-west link between the major trail systems in Northeast Ohio. Additional parks located as part of the Portage Park District include: Towners Woods, Dix Park, Seneca Ponds, Camp Spelman, Headwaters Trail, and Berlin Lake Trail. This 25 acre park located at 4484 Edson Road is our most developed in the Township. The park has a ball field, a soccer field and a sand volleyball court with the lighting. Additionally, there are two playground areas for children, and a basketball court. The shelter is available for reservation. 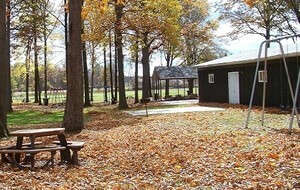 The park has picnic tables and grills in several areas. Trails wind through the woods and offer nice hiking trips in a picturesque park. This 35+ acre park at the corner of Sandy Lake and Lynn Roads is the newest green space in the Township. Location access if off of Lynn Road. Donated by Wojno Construction. Winter brings sledding hills and cross country ski trails to this rolling hills park. Passive recreational trails will eventually cross through the woods and along the Brimfield Creek. After each fresh snowfall our open trails at Cranberry Creek Park are waiting for you. Al Lease Park has a regulation soccer field, baseball diamond with a grass infield, basketball court, volleyball court, and two playground areas. In 2000, permanent restroom facilities and an underground field irrigation system were installed. In 2002, a one mile looping Hike & Bike trail was installed. In 2003, a 20-car parking lot was developed off of Admore Drive giving the park an additional access point. Located at the northern limit of the Riveredge Trail this park area is accessible from Gougler Avenue. This historic site is the location where Captain Samuel Brady reportedly jumped 21 feet across the river to avoid a band of Indians in 1780. Future plans include an extension of the trail north to the Crain Avenue Bridge that will link up with the Towner’s Woods Rail Trail. Located off Middlebury Road, Fred Fuller Park is Kent’s largest park encompassing over 56 acres of land given to the City of Kent in 1934 by Lamson & Sessions Company. The park, which borders and crosses the Cuyahoga River, was developed into a multi-use park over the years, primarily through the involvement of Kent citizens. Kent’s most predominant physical feature is the Cuyahoga River, which flows gently through the downtown area and is marked by a beautiful cascading waterfall near the heart of the business district. The wooded western bank of the river forms Kent’s Franklin Mills Riveredge Park. PlumCreek Park is located on 25 acres of land off of Cherry Street. The land was purchased by the City of Kent from Kent Water and Light Company in 1923, and at various times was used as a drinking water reservoir, field for water wells, storage area, a landfill, a gravel pit, and a pistol range. In 1977, the Parks and Recreation Board began an intensive effort to reclaim the land and dredge the reservoir and the park officially opened in 1979. Though a short distance from the urban areas of Cleveland and Akron, Cuyahoga Valley National Park seems worlds away. 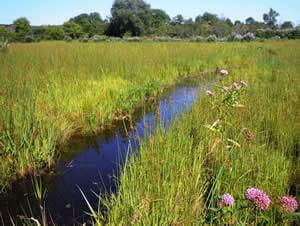 The park is a refuge for native plants and wildlife, and provides routes of discovery for visitors. The Ohio & Erie Canalway is a National Heritage Area – designated by Congress in 1996 – to help preserve and celebrate the rails, trails, landscapes, towns and sites that grew up along the first 110 miles of the canal that helped Ohio and our nation grow.